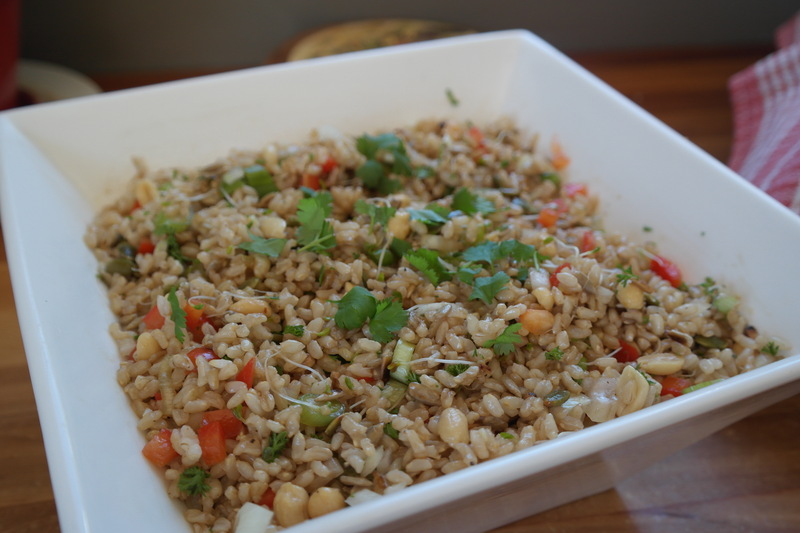 Hands down, this is the best brown rice salad recipe. EVER. We love quinoa in our house and I’m always trying out new ways to serve it up. 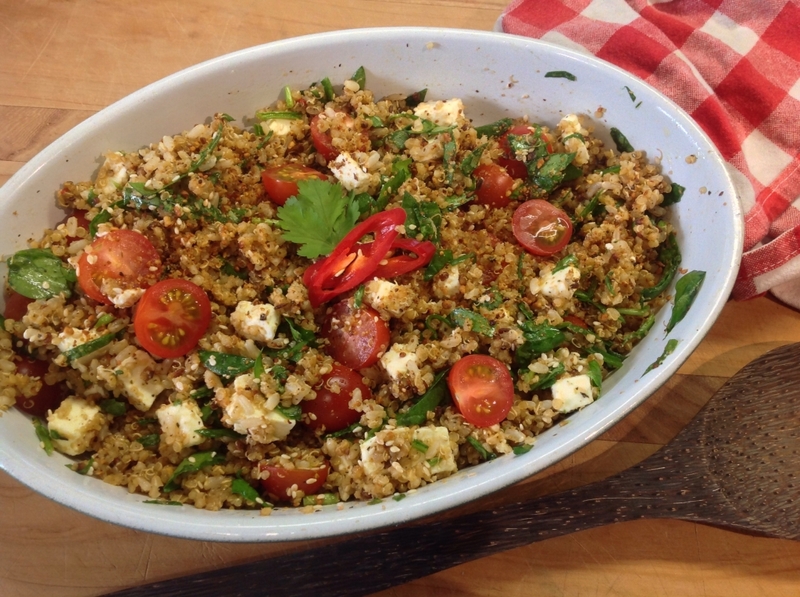 This recipe, assuming you have dukkah at the ready, is delicious and straightforward to prepare. 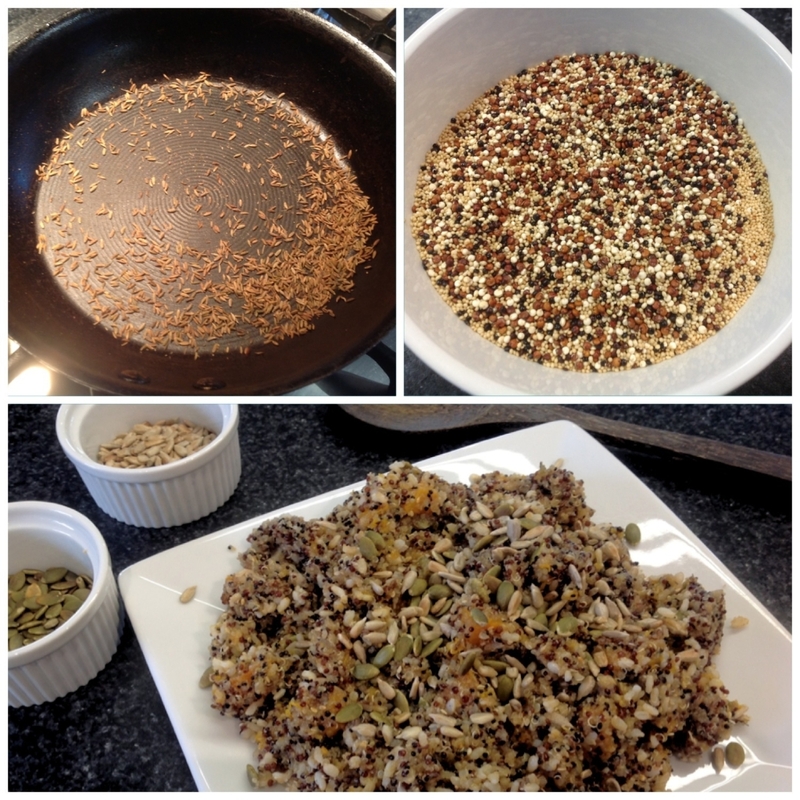 I love the nutty, crunchy, slightly spicy goodness of dukkah, it’s a staple in my pantry and it goes gorgeously with the quinoa in this recipe. 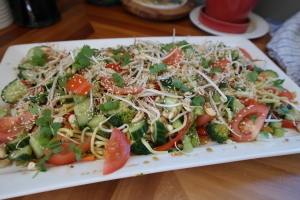 My gorgeous American friend Mel is the Queen of Salads. I went to her house for lunch once and she made a salad that was so good I recreated it and we had it for dinner that night, and three nights in a row the following week. So when Mel emailed me a recipe of another salad she thought I “might like”, I got excited and I raced off to the supermarket to get the ingredients. 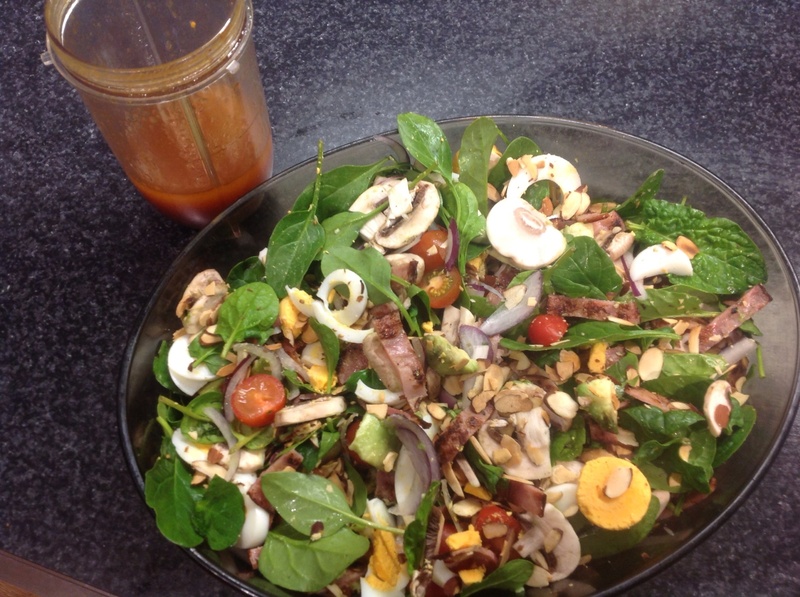 This recipe is inspired by Taste Cornucopia in Hastings, an organic cafe which never ceases to wow me with their food. They always have an incredible array of salads, packed with stuff that’s only good for you – and my favourite is their quinoa salad. 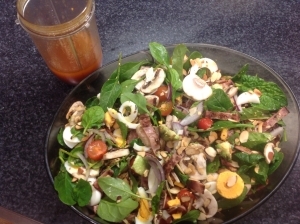 I’ve had this salad for lunch at least once a fortnight for the last three and a half years and I think I’ve finally figured out how to make it almost as good as theirs! This is a fantastic winter salad.